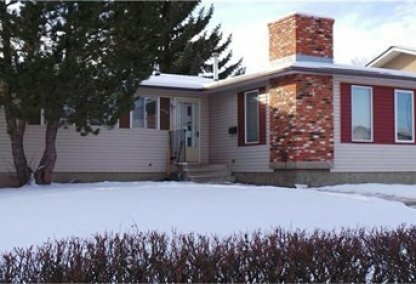 Search Huntington Hills homes for sale & just listed real estate in Calgary. 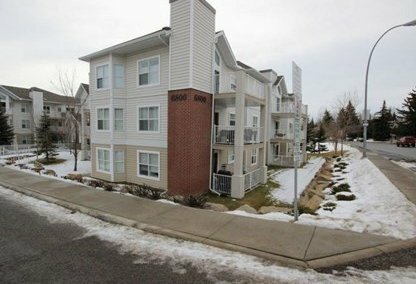 Residents of Huntington Hills can enjoy spectacular views of the mountains in this North Calgary community. For information about the newest listings in Huntington Hills for sale or to schedule a private home showing, contact your Huntington Hills Calgary real estate experts today. Huntington Hills housing market statistics: As of April 25, 2019 there are currently 33 properties for sale in Huntington Hills listed as active, with an average asking price of $355,661. The highest-priced property is $668,000; the lowest priced property can be purchased for $132,000. Huntington Hills neighbourhood listings have an average price of $323 per square foot, based on listings with 3.5 bedrooms, 2.0 baths, and 1,090 square feet of living space. Looking to sell or buy a home in Huntington Hills? Call Justin Havre at RE/MAX First - 403.217.0003, your Calgary Homes neighbourhood real estate team. We are Huntington Hills real estate agents and can help you find all Huntington Hills Calgary new listings. Huntington Hills neighbourhood real estate includes both single-family houses and condos. 50% of the homes in the community are owner-occupied, and there are approximately 13,000 residents in the subdivision. The Huntington Hills Community Association oversees the Sportsplex, which offers neighbourhood amenities such as skating rinks, fitness classes, and art workshops. There is also a preschool in the Sportsplex. The North Central Community Resource Center offers parent workshops, including single parent supports and mom and tots groups. There is also a Pioneers program for seniors. Nose Hill Park, with its impressive wildlife and gorgeous walking areas, is close to Huntington Hills homes for sale, and there is also a local golf course property. Elementary schools within the community include Catherine Nichols Gunn Elementary (Public), Alex Munro Elementary (Public), Huntington Hills Elementary (Public), J.K. Mulloy Elementary (Public), St. Henry Elementary (Separate), and St. Hubert Elementary (Separate). Junior high schools include Sir John A MacDonald Junior High (Public) and St. Helena Junior High (Separate). The local neighbourhood high school is John G. Diefenbaker High School (Public). Thinking of buying or selling a home in Huntington Hills? Let our local real estate agents help guide you through the purchase of your next home, or to expertly negotiate the sale of your current home. As local Huntington Hills real estate agents, we're experts on the market dynamics unique to the Huntington Hills real estate market. We'll get to work for you today! Contact Justin Havre at RE/MAX First - 403.217.0003 to learn more about buyer or seller representation. Planning to sell your Huntington Hills home? Check out our free home evaluation, where you can instantly price your Calgary home price your Huntington Hills home online, in minutes!